After more than 20 years in business, Campus for Kids Learning Center was running out of space in the basement of its founding church (now City Church), and began using portions of the church’s adjacent K-12 school. The school was also growing out of its facilities, so the church contracted with NCI-Roberts Construction and planned a two-phase building project. Phase one was a 12,000 square foot addition to the school, including a kitchen that could service both the school and childcare facility. Phase two was another 12,000 square foot school addition, and 30,000 square feet of new construction to house Campus for Kids. 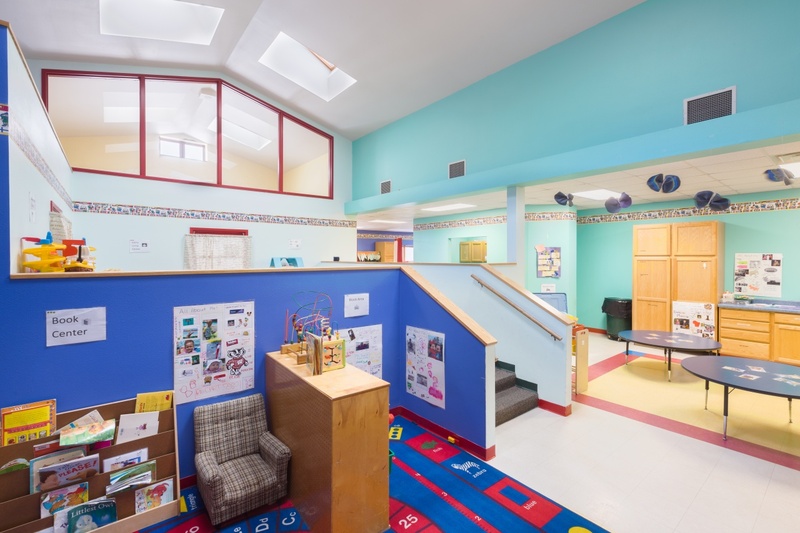 In just eight months, the childcare facility had economical, high quality space that allowed extensive growth; today, Campus for Kids Learning Center is the largest childcare facility in Wisconsin. "The design of Campus for Kids is ideal for a childcare center. We have a lot of natural light, and our classrooms are designed in a way that gives teachers the ability to bring additional supervision to neighboring classes, which adds safety to our environment. The space is beautiful while being highly functional. People in our industry often remark at how amazing our center is!"